Looking for a team of experts to complete scheduled work involving the highest quality of commercial roofing Dorset has to offer? Urgently need some repair work following bad weather? Welcome to ProRoofing, home of excellent roofing work specialising in commercial and industrial properties. Call 01202 518763 or email office@pro-roofing.co.uk for a free no-obligation chat about your requirements. 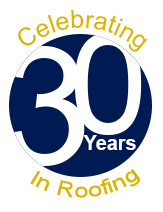 For more than 30 years, we have been upholding our reputation as the leading provider of industrial and commercial roofing in Dorset. We make it our mission to deliver outstanding quality on every job we do, and we are so confident that you will be impressed with the results, that we offer a minimum 10-year guarantee on all of our commercial and industrial roofing work. 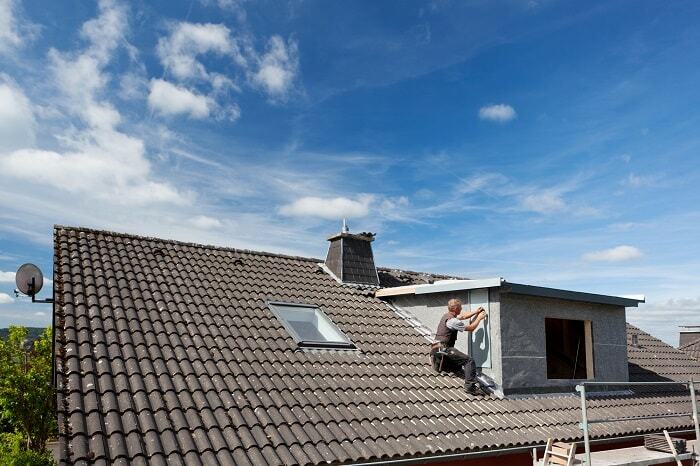 On top of this, ProRoofing is your go-to commercial roofing Dorset Company no matter the time of day. We commit to a 24/7 emergency call out service, so when the storms unexpectedly damage the roof on your property, you can relax knowing that we are just a phone call away to carry out the necessary repair work on leaks and damages. You can, therefore, enjoy peace of mind that our workforce will deliver an all-encompassing, hassle-free process with regards to commercial roofing in Dorset. Better still, as part of our leading commercial roofing Dorset service, we can support you with the ongoing maintenance of your roof. Together, we can arrange for periodic visits where we will carry out preservation works such as general cleaning and repairs to help you avoid costly work in the future. Plus, our expert team at ProRoofing also deliver outstanding insurance repairs and refurbishments, so you know that whatever reason you require Dorset commercial roofing work, we are a company you can trust for a fully comprehensive service. To discuss the needs of your business or to arrange for a quote, please get in touch with our friendly specialists who will be more than happy to provide their expert advice on commercial roofing in Dorset. You will then be able to make the right decision on your roofing repairs, materials or maintenance work which will benefit your company and fit within your allocated budget. Call 01202 518763 today! Why choose ProRoofing for commercial roofing in Dorset? During the past 3 decades, we have been providing commercial and industrial customers all over Dorset with reliable roofing facilities on both a reactive and ongoing basis. Moreover, to distinguish ourselves in the industry, we commit to a heritage programme whereby we make an extra conscientious effort to preserve the environment. Through numerous means, we play our part in reducing our ecological footprint while conducting our work. For example, we are dedicated to minimising waste and recycle where possible. We also switch off all of our machinery when it is not in use and commit to ensuring every single one of our commercial roofing Dorset employees is in agreement with our Environmental Policy. When you entrust us with the preventative and repair work of your roof, you will also be able to enjoy peace of mind that we comply with all official regulations for health, safety and welfare. Better still, we conduct an initial risk assessment and commit to method statements to ensure the ongoing quality and safety of our Dorset commercial roofing. As part of this service, we also take care of all the development planning and site management right through until the final sign off on the project. What’s more, every single one of our employees is CRB checked and conducts their work in accordance with the latest regulations. We are also exceptionally proud to use in-house scaffolding for every project which gives us complete control over our work with regards to efficiency and health and safety. Your search for the highest quality of commercial roofing Dorset has to offer is over! Contact our team of specialists today to discover how we will match your roofing requirements with an affordable price. Call 01202 518763 or email office@pro-roofing.co.uk.